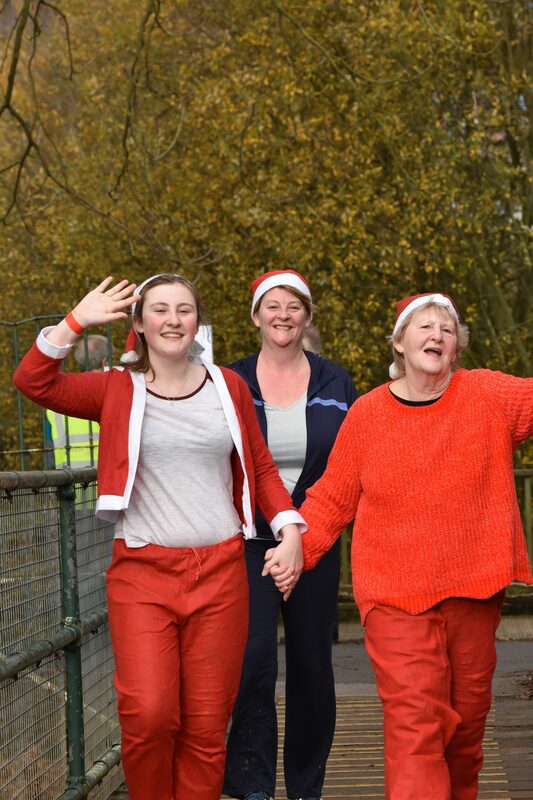 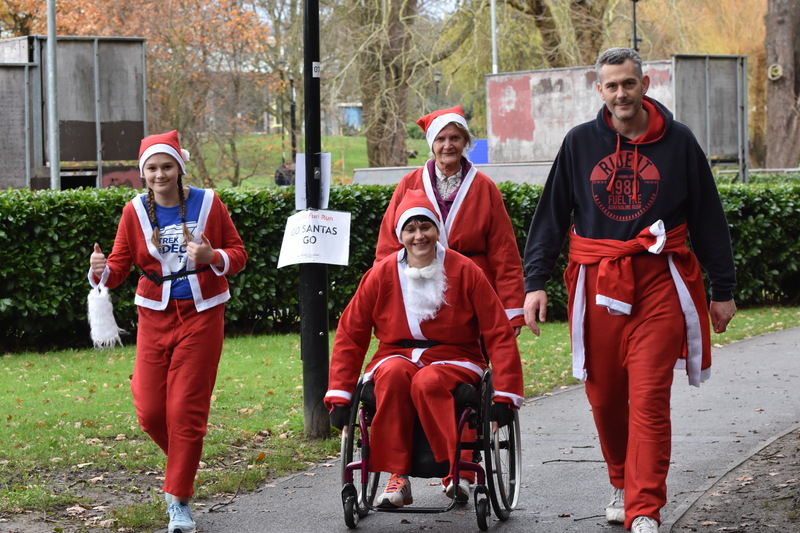 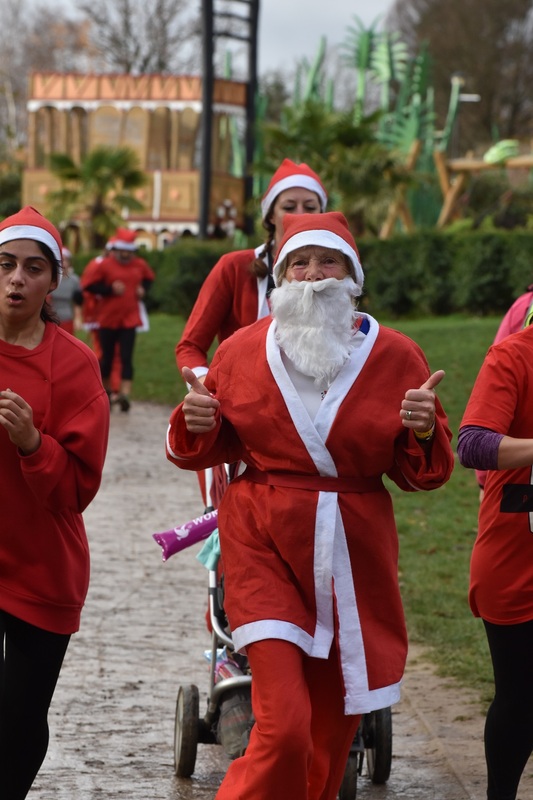 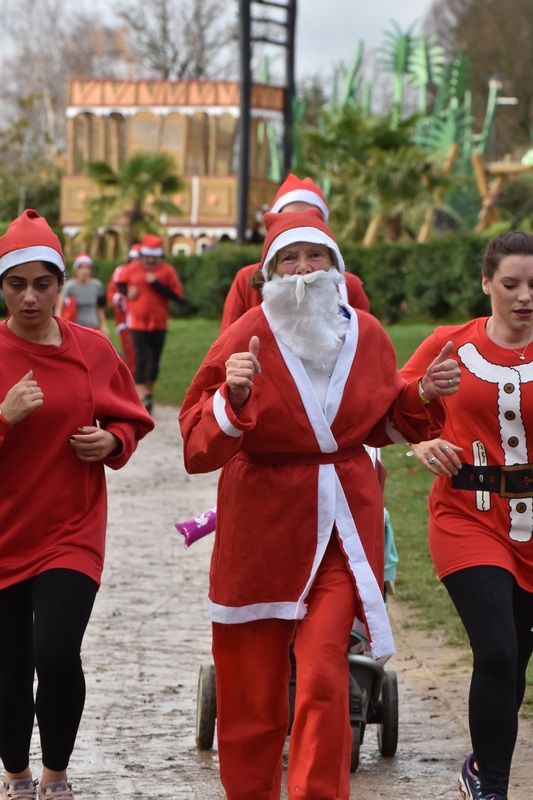 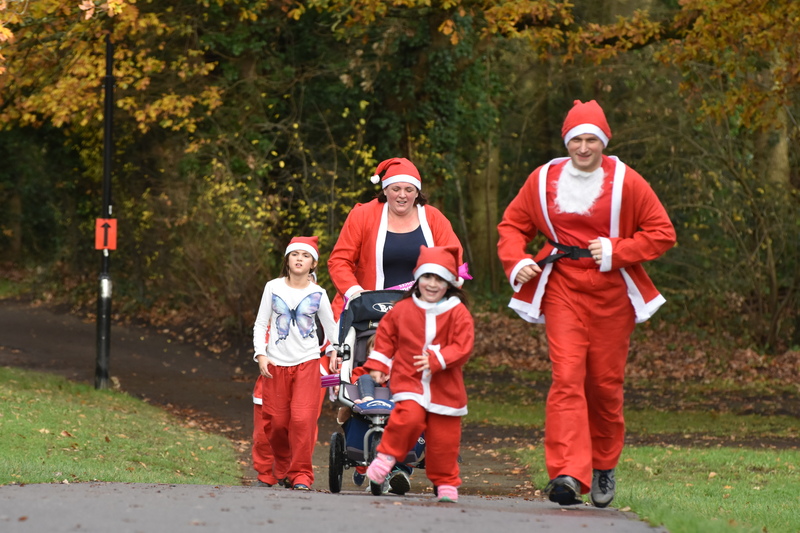 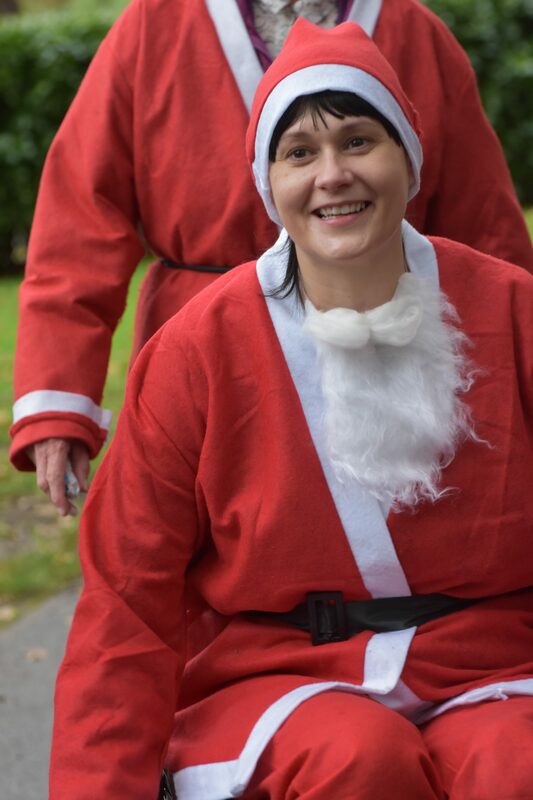 On Sunday 2 December over 250 Santas’ took to Woking Park to complete our Santa Fun Run 2018 including little ones in buggies, wheelchair users and four legged friends. 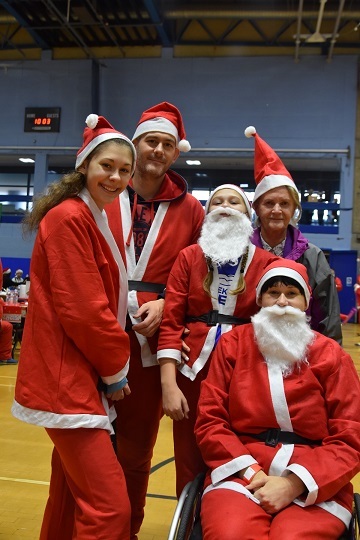 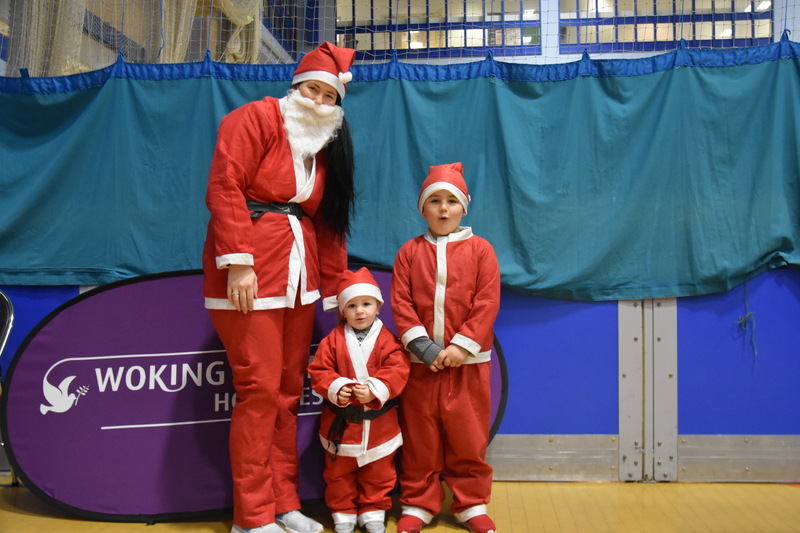 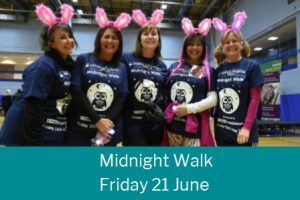 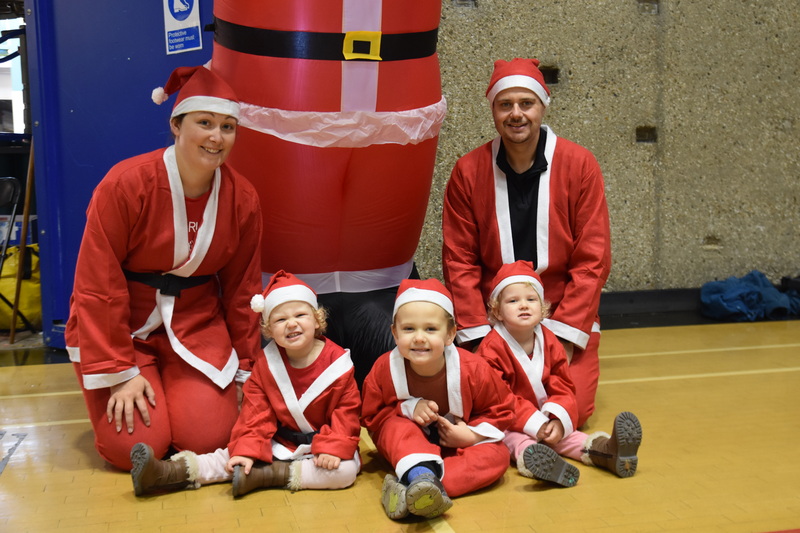 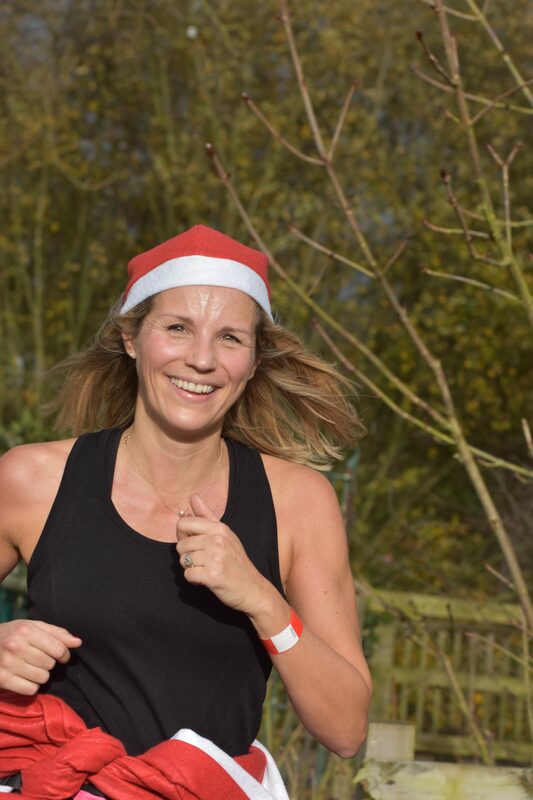 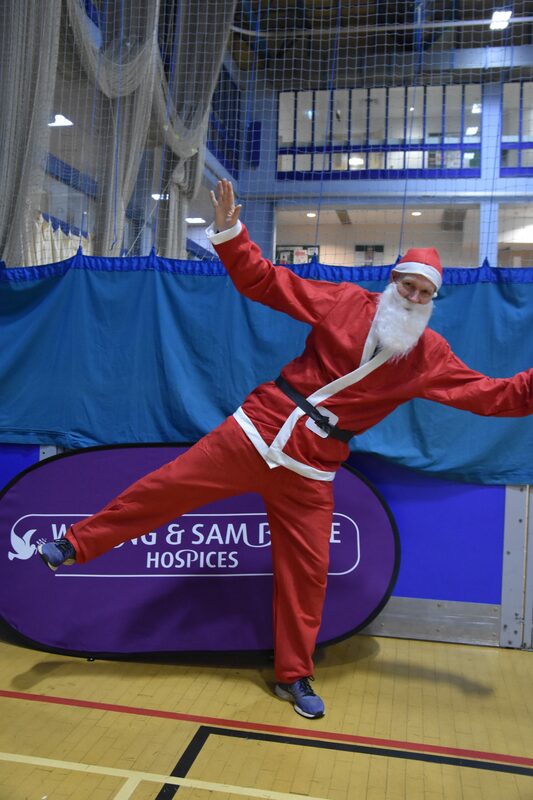 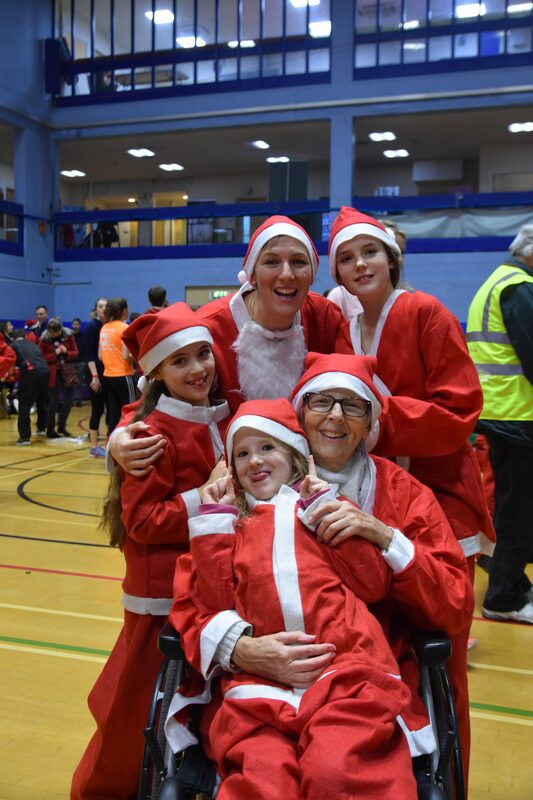 The atmosphere was amazing, before the race began everyone gathered at Woking Leisure Centre where the festive spirit definitely didn’t go unnoticed. 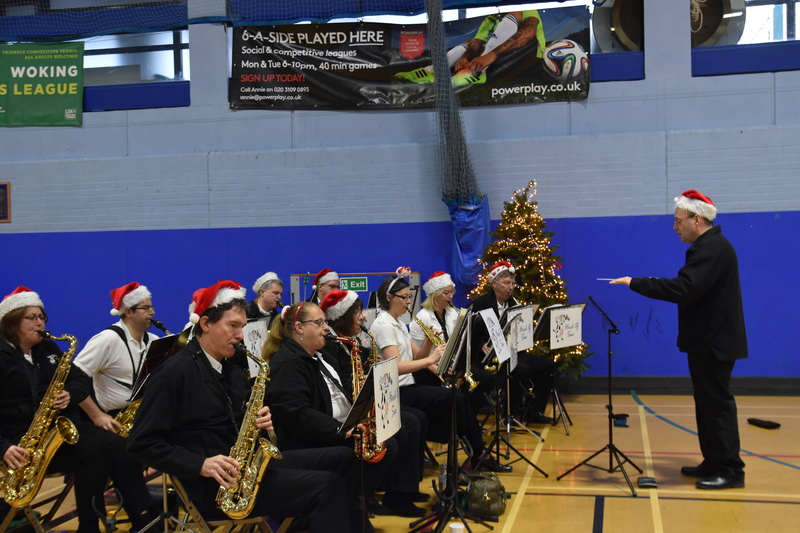 The room was filled with everyone in their Santa suits and hats with a band playing traditional festive Christmas songs. 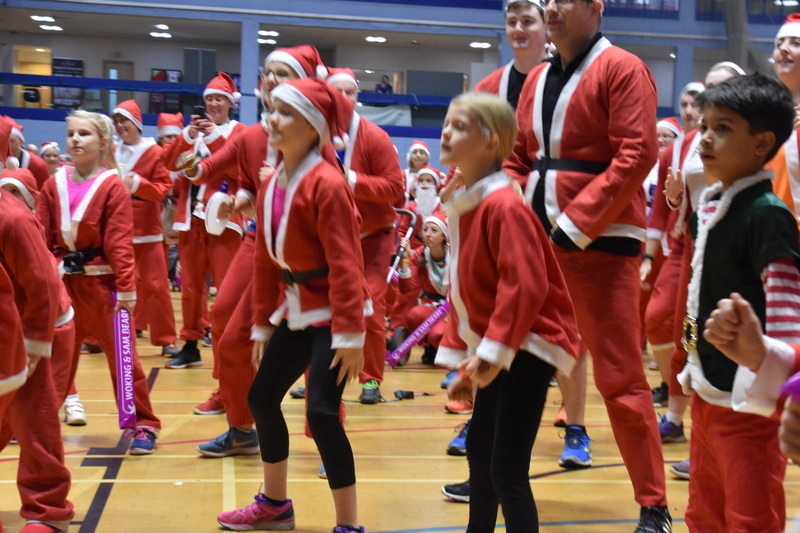 There was an energetic warm up where we saw our Santas’ dancing along to Mariah Carey’s ‘All I want for Christmas is you’. 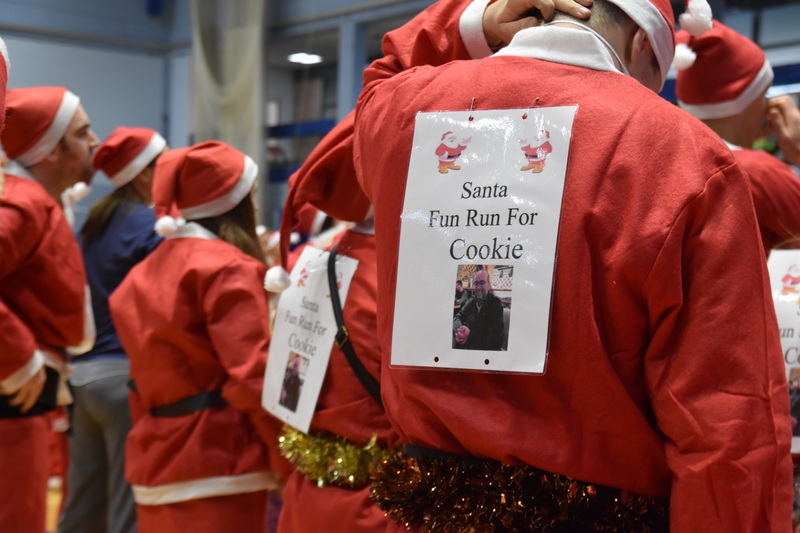 As it approached 10:30am all the Santas’ gathered at the starting line, our Chairman Tim Stokes counted down from 5 and everyone was off! 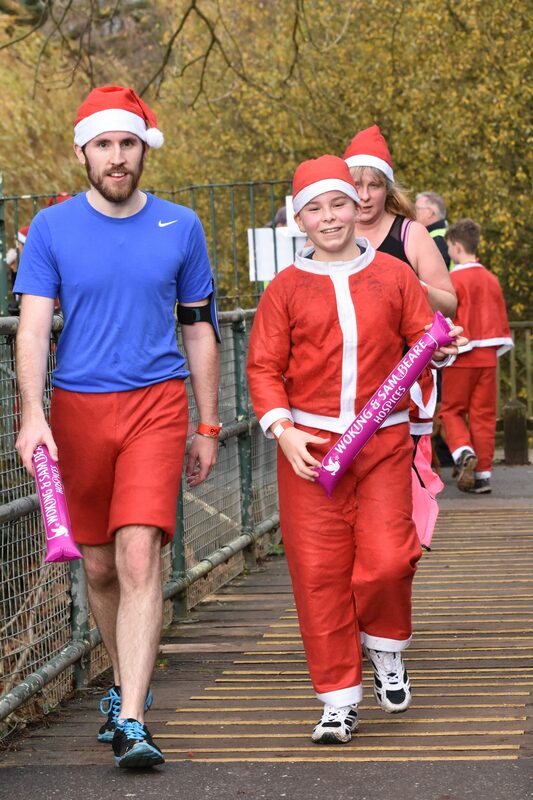 There were two different route options, with our runners taking either the 1.5k or 4.5k route. 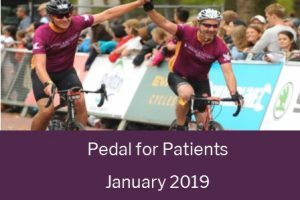 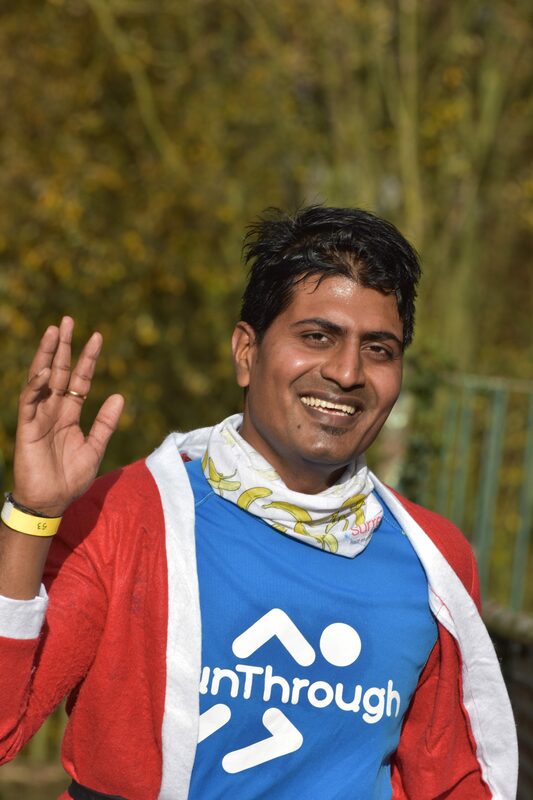 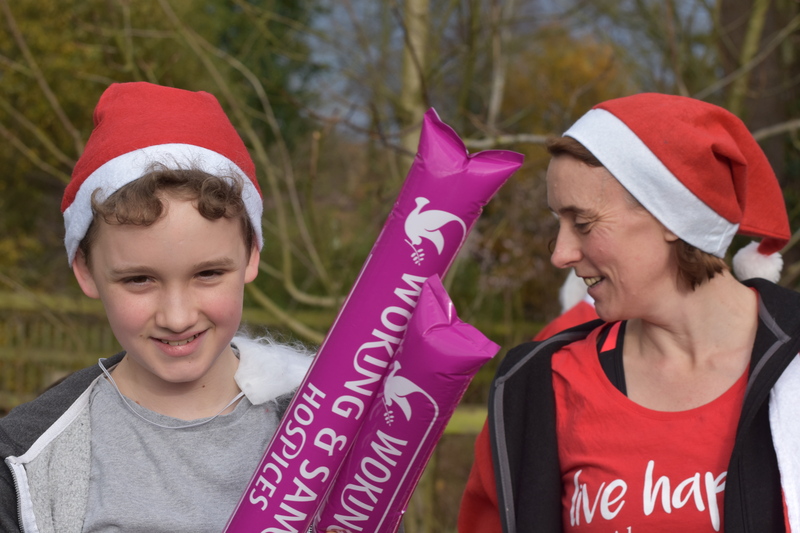 Despite the cold weather, participants started arriving shortly after 11:15am, there were big smiles on everyone’s faces as they were presented with a medal and a well-deserved mince pie. 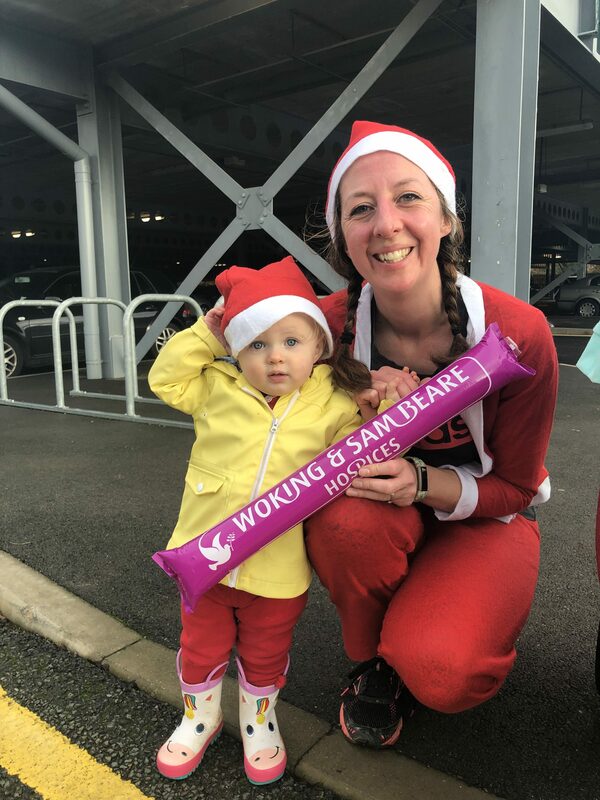 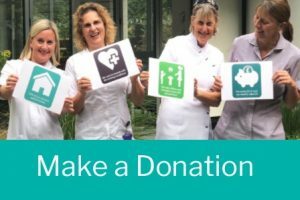 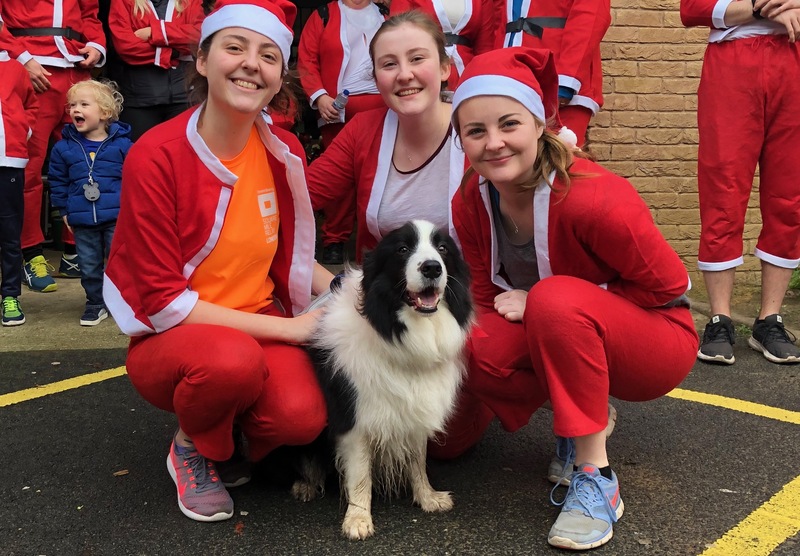 We would like to say a big thank you to everyone who took part in this years Santa Fun Run, it really does mean so much to us all here at Woking & Sam Beare Hospices to see so many of our supporters coming out on a Sunday morning and dressing up as Santa to raise money for the hospice. 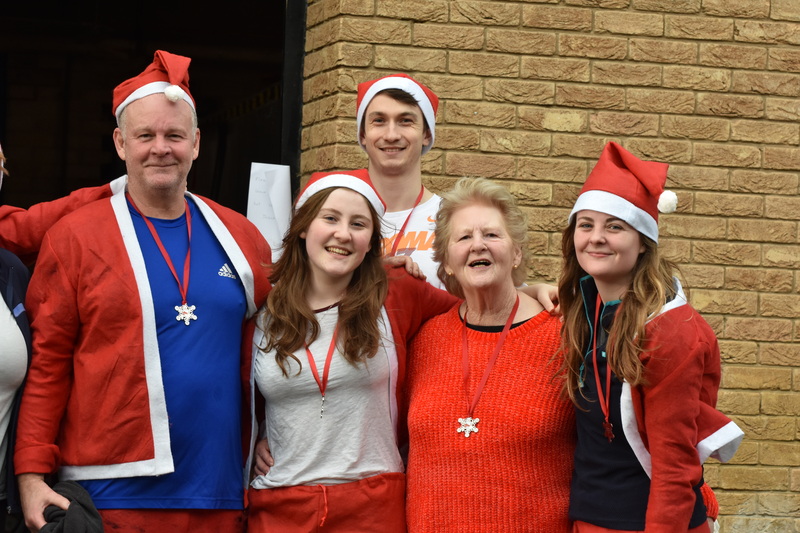 We would also like to thank everyone that volunteered and helped to marshal the event. 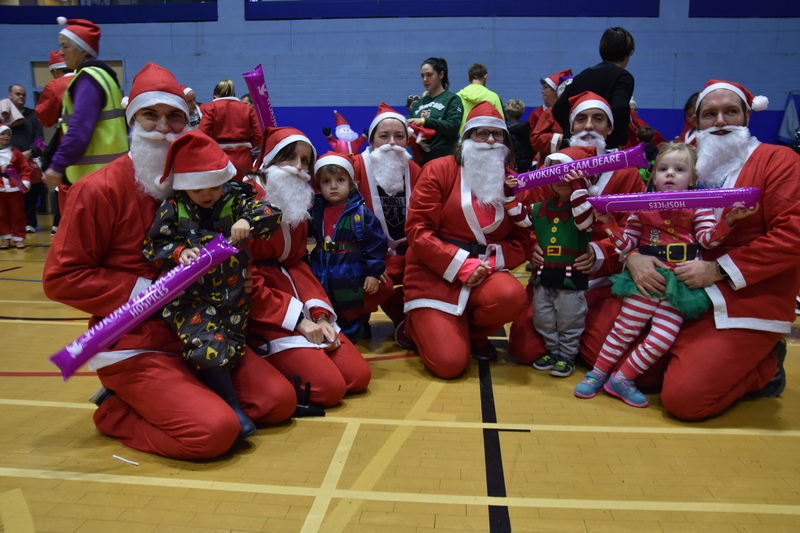 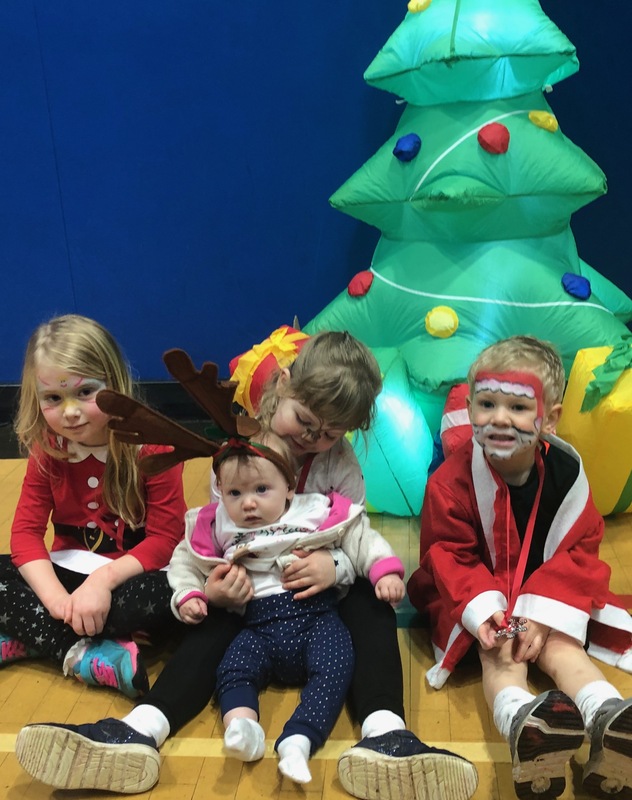 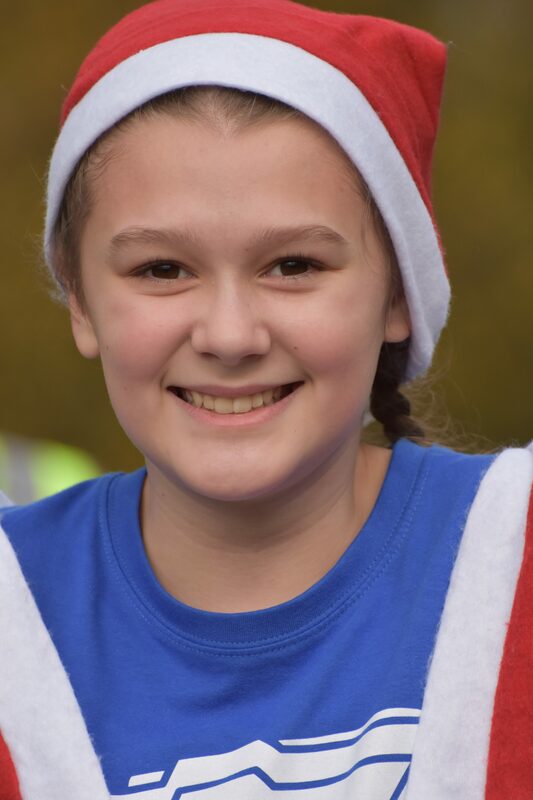 And also a big thank you to Michelle Kersley who provided the lovely festive face paints on all of the children, the fabulous band ‘Herd of Sax’ and Emma Goodman-Horne from Emergy-Fit who ran the warm up.